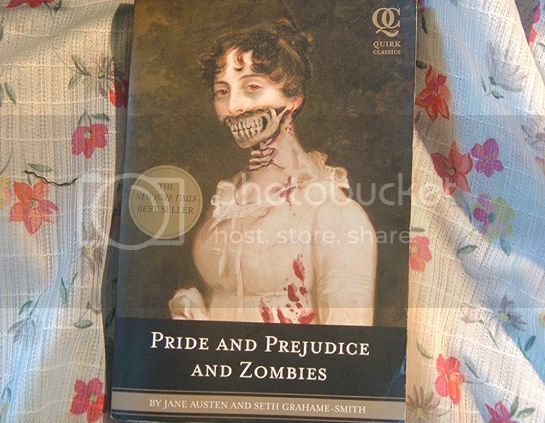 Home » books » Book Review: Pride and Prejudice and Zombies. 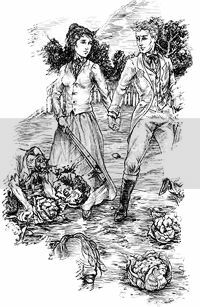 If you have read the classic Pride and Prejudice and enjoyed it, don't fear, the outline of the story is still in there, just with zombies and warrior women. It is very funny in my opinion, but I also think that it really depends on your taste in books, and I can imagine alot of people disliking it. First in it's series, has prequels. ♥ The women in this book are alot more empowered, but it may be down to the fact they are crazy warriors, but they still have a better sense of independence. ♥ Theres 1 chapter which I'm annoyed about, but I won't spoil it for you! But I think from reading other reviews, it annoyed other people aswell. So there is no movie out, but apparently there will be in 2011? I think the movie will be enjoyable, but I'm scared they may make it abit *too* comical and gimmicky, which although the book does have lots of, it still does keep to the storylines frame. I wouldn't have Kiera Knightley reprise her role either, shes just not funny. Period. Prequels: Well, I'm abit confused, but there is a prequel called Sense and Sensibility and Sea Monsters (based off sense and sensibility..obviously), which does look quite interesting. There is also one after that, but by a different author called Pride and Prejudice and Zombies: Dawn of the Dreadfuls, which is set 4 years before the first novel. Will I be reading these? I doubt it. As much as I did thoroughly enjoy this novel, I'm not exactly a fan of Sense and Sensibility as a classic as it is, and reading one set 4 years prior to this novel will just outright confuse me! So how did you like my first ever book review post? I know not all of you like books, so just ignore this post if so, but for you other book worms, which book have YOU been loving recently? Have you read this book? Do you want me to review any others in particular?